Pagpag: Siyam na Buhay is just one of the most awaited film entry for the 39th year of MMFF 2013. This is horror-suspense movie starring two of the famous young stars Kathryn Bernardo and Daniel Padilla. Shaina Magdayao and Paulo Avelino are also part of this wonderful film. Pagpag will be released on Christmas day, 25th of December brought to us by Star Cinema and regal Films, of course directed by Frasco S. Mortiz. This film was conceptualized by basing its story on a Filipino superstitious belief, which a person must not go home directly after visiting a vigil or funeral, because it is said that an evil spirit will come after that person if disobeyed. Pagpag is a Tagalog term which means to shake off. The story goes about a young group of friends who went to funeral and were able to disobey some of the old beliefs. The group was trailed by the evil and vengeful spirits. Daniel Padilla plays the role of Cedric Castillo—a silly young man who don't believe with all these things and will also serve as the Knight with Shining Armour for Leni dela Torre (Kathryn Bernardo). Everything seems very miserable after what happened and all they have to do is conquer it and think of a way to stop it. Shaina Magdayao as Lucy is the wife of Roman who is played by Paulo Avelino. Every one takes a great part. Let's see what will happen on their journey. 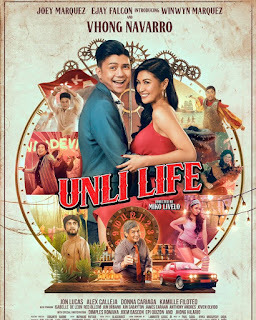 Other casts includes, Matet de Leon as Eva, Janus del Prado as Dencio, Miles Ocampo as Ashley, Clarence Delgado as Mac-Mac dela Torre, CJ Navato as Justin, Michelle Vito as Hannah, Dominic Roque as Rico, Dominic Ochoa, Manuel Chua, Eric Froilan Nicolas,Marvin Yap as Marcelo, Enchong Dee,Empress Schuc and Erich Gonzales as Anna.